Hello everyone! It’s Kelly Klapstein here to share an easy way to make your own glitter card stock. 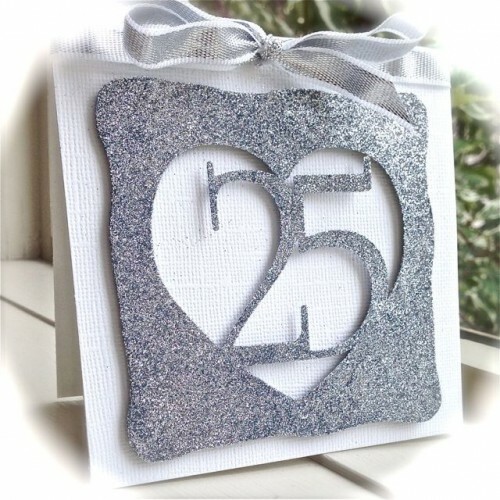 It seems I’m not the only one having a silver wedding anniversary this month, so I decided to combine silver glitter with Adhesive Sheets and card stock to make a 25th anniversary card. This card stock didn’t start out sparkly, but my Adhesive Sheets helped make it so! SUPPLIES: Crafty Foam Tape, Adhesive Sheets 4 x 6, Bazzill card stock, Clearsnap Glitter, May Arts ribbon. This entry was posted in Adhesive Sheets, Adhesives, Cards, Crafts & Tutorials, Crafty Foam Tape, Tutorial, Wear your Adhesive on the Outside and tagged Adhesive Sheets 4x6", Anniversary, Bazzill Basics Paper, Brother ScanNCut, Clearsnap, Crafty Foam Tape White, Glitter, Kelly Klapstein, Tutorial, Video. Bookmark the permalink. 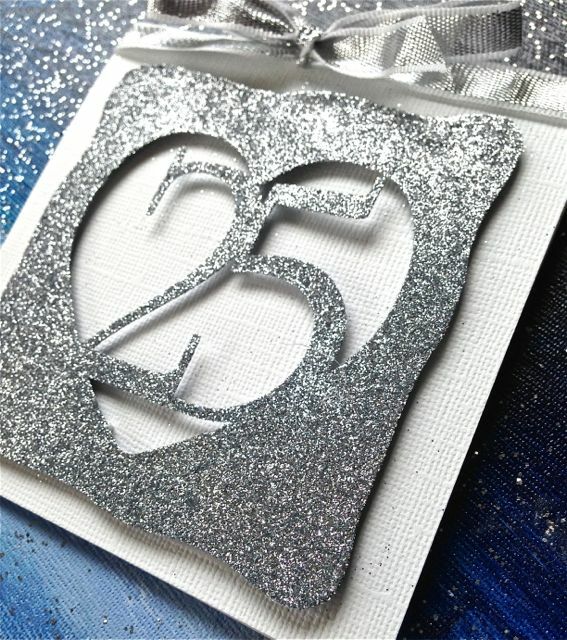 One Response to "DIY Glitter Anniversary Card"
What a gorgeous card just love the way you welded all the pieces together it makes it look so elegant and the glitter really finishes off every thing just beautifully thanks for the great tutorial as well have a great day!